Thomas Cole — Geoff Howell Studio Inc. The new exhibition at The Thomas Cole Historic Site called "The Parlors" marks a turning point in the history of the museum. The West Parlor was restored as much as psossible to its original appearance during Thomas Cole's life. The walls have been painted in the color that he chose, the border that he himself painted has been revealed. 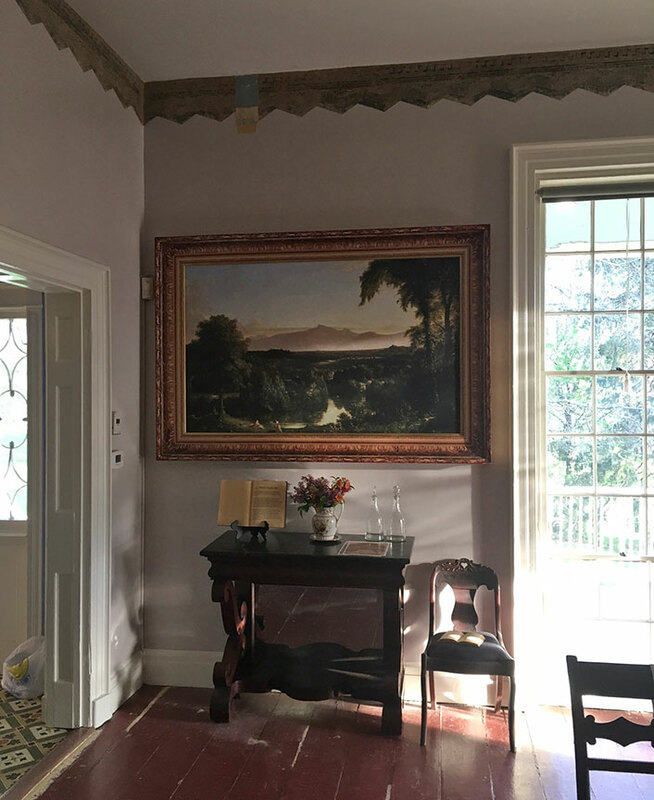 Many of the original furnishings from the room are back in place and perhaps the new feature that has the largest impact is the inclusion of reproductions of his paintings as they originally hung in the room. For our part, Geoff Howell Studio was given the task of creating the reproductions, including period frames. The idea, since the painting are faux, is that the frames are faux as well, meaning that they are photographs of frames applied to a shaped substrate. In addition to the paintings in the West Parlor, the East Parlor also contains painting reproductions as well as a series of 7 framed projection screens. Many thanks to the wonderful people at the Thomas Cole Historic Site who were so helpful at every step of the way, and to Peter Aaron; the photographer of the first image in the series.